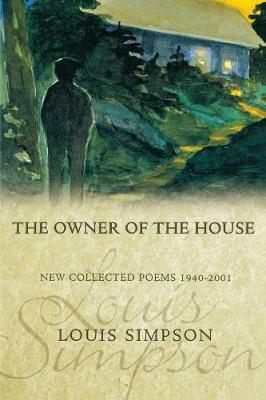 Few poets have so artfully confronted American life as Louis Simpson. Persona speakers struggle with everyday issues against a backdrop of larger forces, the individual's maladjustment to a culture of materialism and brutal competition, the failure of marriage under the pressures of such a society, the failure of the American dream. Simpson wages a lover's quarrel with the world. "Louis Simpson has perfect pitch. His poems win us first by their drama, their ways of voicing our ways ...of making do with our lives. Then his intelligence cajoles us to the brink of a cliff of solitude and we step over into the buoyant element of true poetry. "-Seamus Heaney Educated at Munro College (West Indies) and at Columbia University, Louis Simpson has taught widely, most recently at the State University of New York at Stony Brook. He is the author of seventeen books of poetry and ten works of prose. He has received fellowships from the Academy of American Poetry, the Hudson Review, the Guggenheim Foundation, and received the Pulitzer Prize for Poetry.